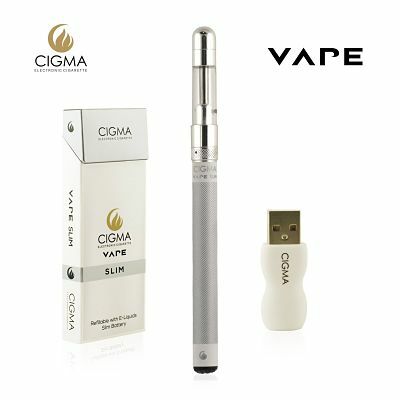 The Cigma Vape Slim electronic cigarette is produced in the UK by Cigma. The company claim it’s the slimmest, smallest, refillable and rechargeable e-cigarette in the world and, as far as the colour goes, the choice is restricted to white or black. The diameter of the unit is only 6mm, and it’s only 11cm long. That’s just a little larger than a normal 100mm cigarette, so Cigma’s claim may very well be true. However, due to the size restrictions, the Cigma Vape Slim may require more frequent top-ups than a larger device. Cigma is one of several brands owned by Morris and Green. 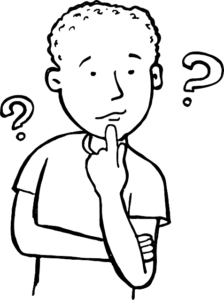 It’s a reputable company that claims to be on a mission to “bring the power of vaping to shoppers” with an array of the latest and most trendy vaping products available. The Cigma Vape Slim is certainly fits the bill.It’s a very stylish piece of kit. There is no e-juice included. Our Cigma Vape Slim review would be incomplete without this information. The extra £5 or so needed to buy the e-juice will add to the initial start-up costs. First-time vapers will need to bear this in mind when they are weighing the pros and cons of using the world’s smallest e-cigarette as a smoking cessation aid. Customer reviews are very good. It’s possible to buy a Cigma Vape Slim e-cigarette from the manufacturer’s website. The other alternative is to buy from Amazon and this is often the cheapest way to go. What Does the Cigma Vape Slim Cost and is it Worth the Money? The Cigma Vape Slim e-cigarette is not a particularly expensive e-cigarette to buy. The RRP is £24.95, but when we visited the official website to check a few facts for this Cigma Vape Slim review the price had been reduced by £5 and the Amazon price can be considerably cheaper. It’s hard to knock the product as far as the price is concerned. We feel it’s definitely worth the money and there’s a 30-day money back guarantee. So anyone who decides to buy the slimmest e-cigarette in the world should be able to pull their money back if the device falls short of their expectations. The Cigma Vape Slim coil has a resistance of 2.5~2.7 Ω. That should be sufficient for people who are taking that first important step to a tobacco-free lifestyle and, it has to be said that, as far as looks go, the e-cigarette’s sleek, clean look has a certain charm. It has to be remembered the size restrictions may mean the device may require more frequent e-liquid top-ups but most customers appear to be extremely happy with their purchase and the Cigma Vape Slim is so elegant it would be pretty hard to beat it on looks.